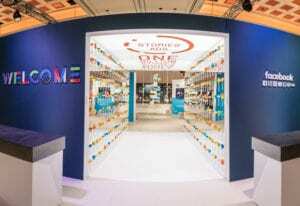 While the big branded booths in the halls at the Las Vegas Convention Center and Sands Expo are the epicenters for headlines at CES, they’re not the only places brands engage with audiences at the show. 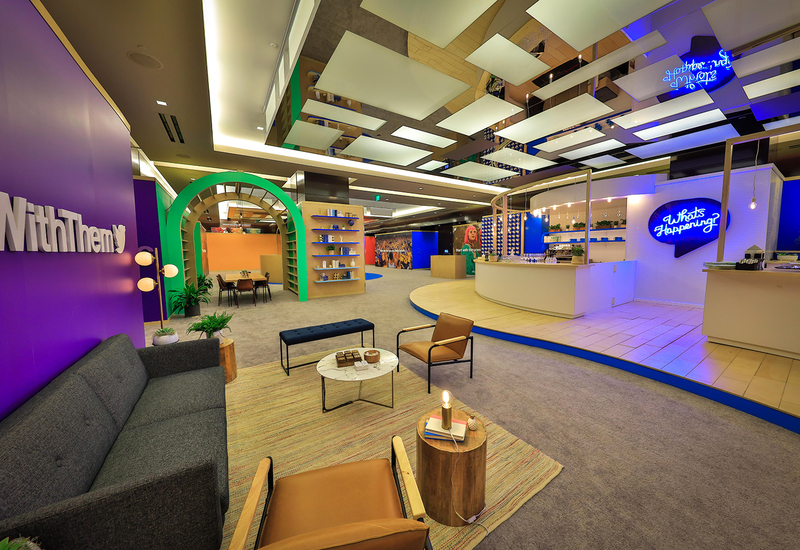 There are scores of meeting spaces and branded headquarters that provide strategic value for companies like Facebook, Spotify and Twitter. 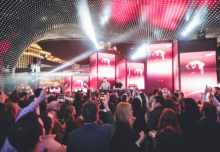 Branded headquarters, private spaces off the official convention center circuit, provide companies space to make announcements before select media, host private events and broadcasts, and meet with and engage advertising and business partners. Comfortable, stylish and experiential, they are a great escape from the “noise” of the show. 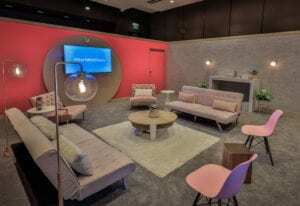 Here’s a look at three of the most talked-about spaces from CES 2019. 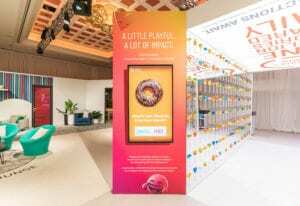 Facebook’s CES headquarters at Wynn Las Vegas offered an experiential entrance called the Hall of Reactions. 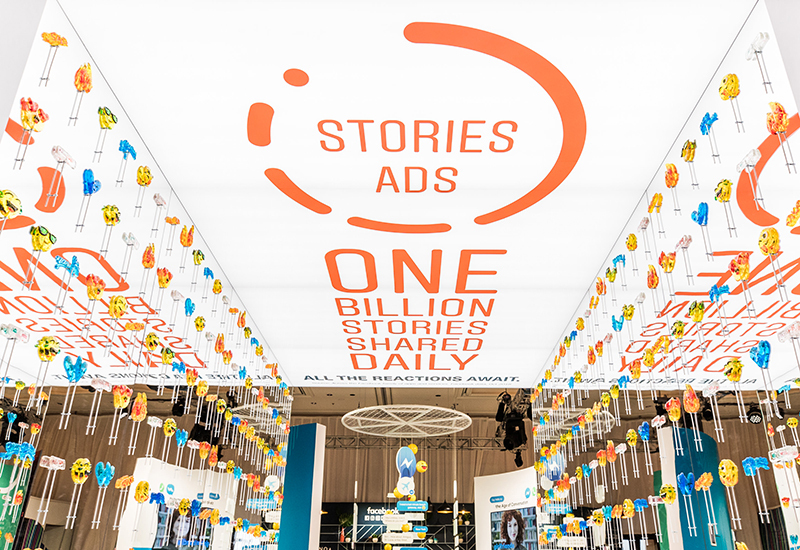 The experience represented the engagement of 1 billion Stories shared daily across the Facebook family of apps, according to the company. 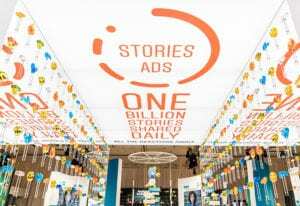 “Our goal with the activation was to both inspire advertisers and to represent the huge opportunity that Stories ads present to reach people in a creative and immersive way,” says Lindsay Hegleman, event marketer, global business marketing at Facebook. 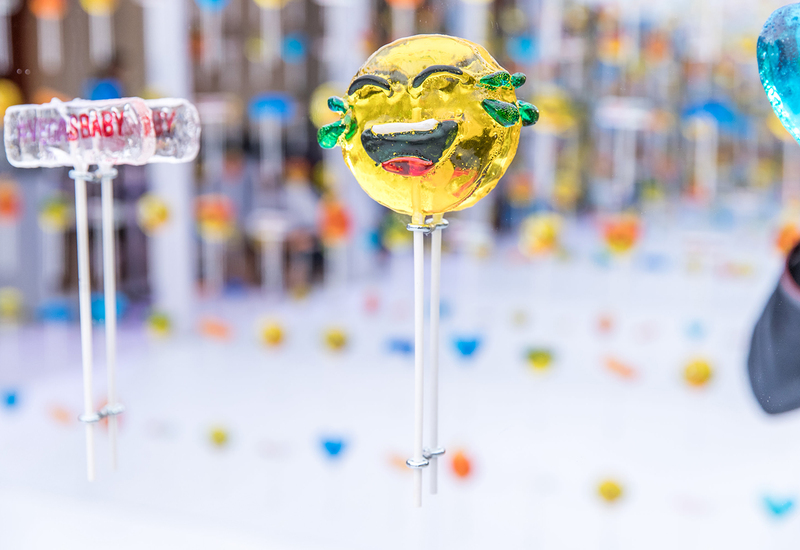 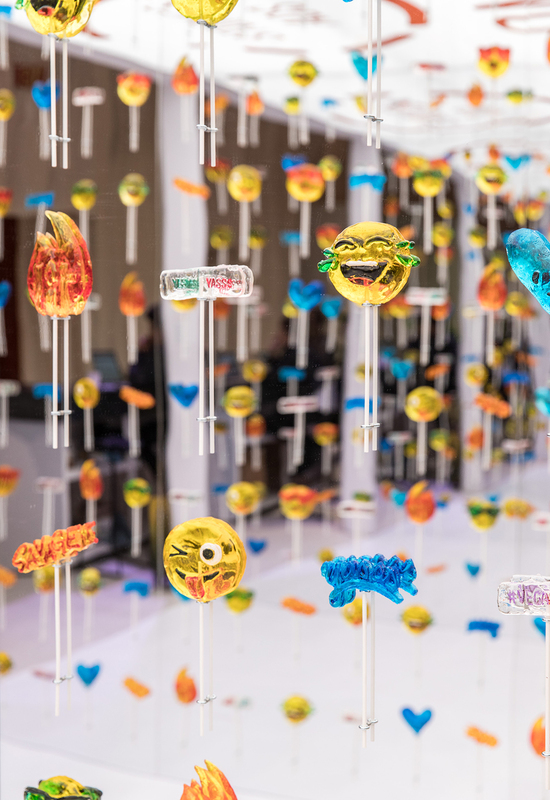 The tunnel featured mirrored walls with custom sugar art lollipops from Sweet Saba (@maayan.zilberman) that represented Stories stickers available on Facebook and Instagram including emoticons, hashtags and polling stickers. Attendees were invited to snap photos within the tunnel for a cool infinity-mirror effect—then post to their Stories, of course, and grab a lollipop to enjoy themselves. 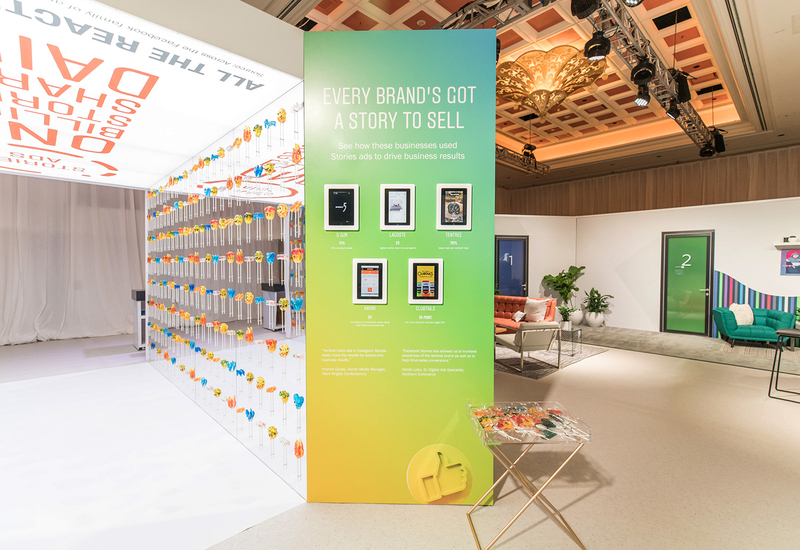 In addition to the headquarters space, the brand also participated in the CES C Space Storyteller track, took part in fireside chats and other events across Las Vegas. 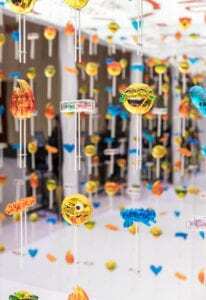 Agencies: 72andSunny (concept); We’re Magnetic (production). 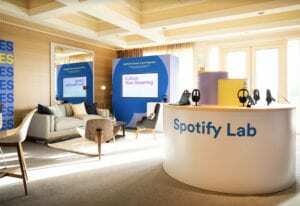 “As the world’s largest music streaming service, we were at the CES to inspire innovation and creativity that enables access to and development of the best in creative audio content globally, both for the benefit of our listeners as well as our advertising and business partners,” says Jess Park, global director-business marketing, Spotify. 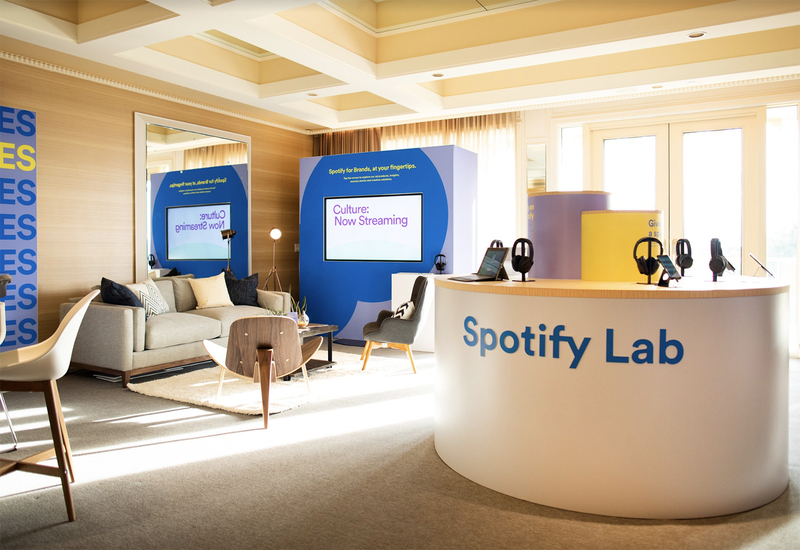 “We understand how to harness consumer insights and data, and use that information–what we call our streaming intelligence–to unleash innovation and audio creativity while enabling discovery of new content.” Agency: In-house. 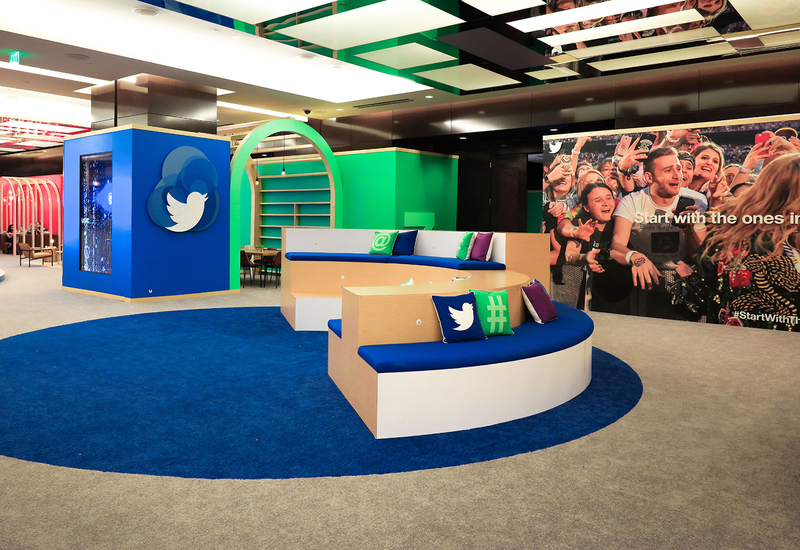 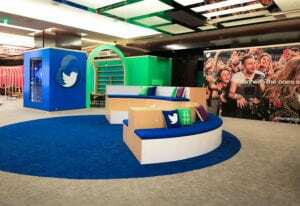 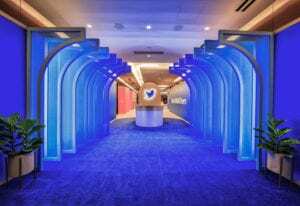 For a fifth year, Twitter created an oasis of connection at The Cosmopolitan in Las Vegas during CES with Twitter Commons, where the brand’s partners and clients held meetings, sipped on artisanal coffees and, quite simply, escaped. The Twitter Commons theme this year leaned heavily on a business message geared toward brands and agencies with the statement #StartWithThem. 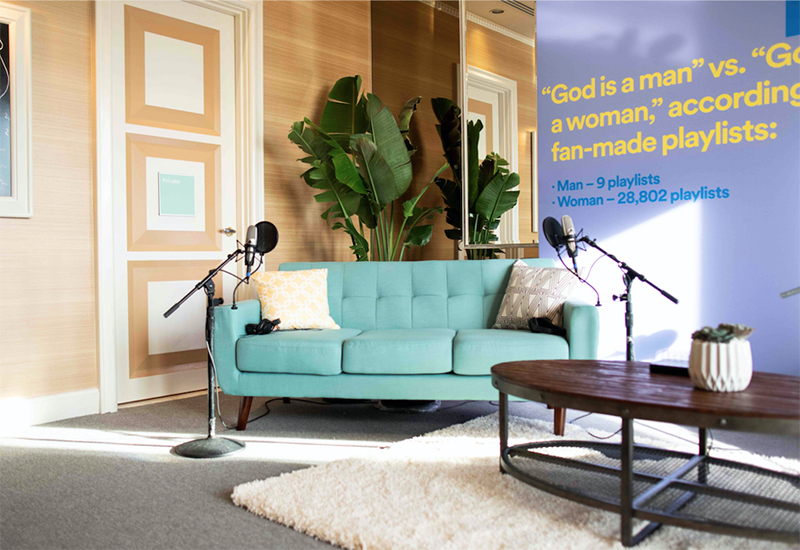 Large still photography in the space brought this message to life, and pointed to the Twitter audience and its power—and how, it all starts with them, naturally.